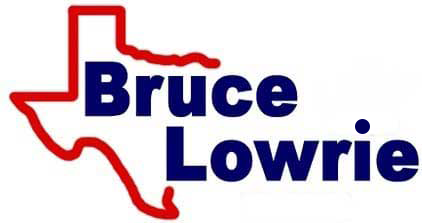 Bruce Lowrie Chevrolet invites truck shoppers near Arlington, Texas, to our new and used dealership in Fort Worth to learn about the 2019 Silverado 1500 that is available. This 2019 pickup boasts the high-tech features you're looking for as well as the towing and hauling specifications you're interested in. Opt for an aggressive ride that stands up to challenges of the road, snag a 2019 Silverado 1500 from Bruce Lowrie Chevrolet today! The 2019 Chevrolet Silverado 1500 offers six different powertrain options, ensuring motorists can equip their new pickup with the level of power they're looking for. The 3.0-liter Duramax® turbo-diesel engine features auto stop/start technology and works with a 10-speed automatic transmission while the 2.7-liter turbo option with Active Fuel Management offers a 310 horsepower rating, 348 pound-feet of torque and an 8-speed automatic transmission. Step up to the 4.3-liter V6 engine if you're looking for a 6-speed automatic transmission, a 285-HP rating and 305 pound-feet of torque or equip your truck with the 5.3-liter V8 powertrain with Dynamic Fuel Management to enjoy a 355-HP rating and 383 pound-feet of torque. The top-of-the-line 6.2-liter V8 engine offers drivers an impressive 420 horsepower rating, 460 pound-feet of torque, a 10-speed automatic transmission, and auto stop/start technology. Head to our new and used Chevrolet dealership near Arlington, Texas, for a test drive of the models that suit you, and be sure to ask about the Silverado 1500's Drive Mode Selector! Ensure you can drive home in your Silverado 1500 as soon as you find the trim that complements you, complete a credit application here on our Bruce Lowrie Chevrolet website before visiting us to explore the 2019 lineup. But we understand that sometimes accidents are unavoidable. That's why this 2019 pickup truck for sale offers OnStar® and Chevrolet Connected Services and is standard with six strategically placed airbags. Secure a driver-assistive vehicle today, trade up to a Silverado 1500 through our Texas Chevy dealer now! Don't miss your chance to enjoy all the benefits that come from being the owner of a 2019 Chevrolet Silverado 1500 truck, head to our car dealership in Fort Worth, Texas, today. Motorists in the nearby areas can get their pickup search started here on our Bruce Lowrie Chevrolet website, as we've made our inventory available online. Don't hesitate to start shopping today or drop by to see us if you're looking for a more customized Silverado 1500 experience!